The Minister of Labour and Employment, Chris Ngige, has washed his hands off the on-going crisis between ASUU, SSANU and NAAT, saying the government has fulfilled its part of the deal. The strike by Senior Staff Association of Nigerian Universities (SSANU), Non Academic Staff Union of Universities (NASU) and National Association of Academic Technologists (NAAT) commenced on Monday and continues on Wednesday. But the Federal Government would not want to swim the dirty waters with the aggrieved unions. 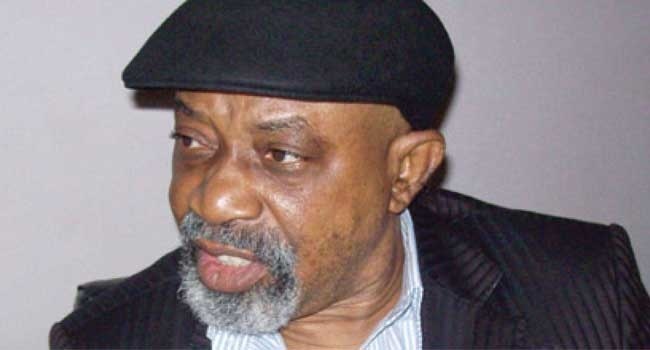 Minister of Labour and Employment, Chris Ngige has washed his hands off the on-going crisis, saying the government has fulfilled its part of the deal. SSANU, NASU and NAAT are protesting the sharing formula of the 23 billion Naira released by the Federal Government for the settlement of earned allowances. The unions claim they were left with 25% of the money after the Academic Staff Union of Universities (ASUU) gulped 75% of the figure. Ngige asked them to call off the strike and make a fresh case in respect of their reservation concerning the disbursement of the 23 billion Naira, which he said was the first item on the September 20, 2017 agreement. Ngige said it was important for Nigerians to be informed that the Federal Government had fully fulfilled its part of the agreement and that the government could not be blamed for what the unions term “skewed disbursement formula” for the money. “As I speak, the Federal Government has fully implemented the major contemporary issues such as payment of shortfalls, registration with PENCOM, among others, in the agreement. “The only grievance the unions have today is that the modality for the disbursement of the 23 billion Naira released by the Federal Government for the settlement of earned allowances is skewed against them. “But I advised them during the negotiation to call off their strike when it entered the fifth day and quickly forward their own template for accessing the 23 billion Naira meant for the academic and non-academic staff of the universities, since the Academic Staff Union of Universities (ASUU) had already submitted theirs. “They bluntly refused and dragged the strike for weeks,” Ngige said. While this strike controversy continues, students and even those looking forward to resuming soon are bearing the brunt.